Singapore Family Law Courts cite adultery as one of the criteria for a spouse to file for divorce. However, such claims must be proven with evidence. Thus, a spouse who suspects their other half of cheating on them will need to acquire the services of a private investigator to confirm their suspicions as well as obtain documented proof of the infidelity. How do you then go about hiring a private investigator? It is not just a matter of flipping through the yellow pages. You want to know that they are qualified and accredited. In Singapore, surveillance assignments must have special approval from the Singapore Police Force. 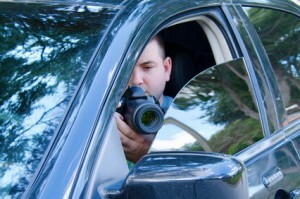 These permits are issued only to private investigators who have successfully undergone training approved by the Police Force. More than that, it is important to be assured of the quality of their work and that they are reliable in providing you the service that you require of them. Private Investigators are bound by a Code of Conduct where they are not to mislead potential clients regarding their level of training, skills and qualifications. You should therefore check out their address of business, information on their previous cases and copies of their records to assure yourself of their efficacy as well as to compare their charges to ensure that you are being charged fairly. It is therefore important that you meet up face to face before you decide on the hiring of their services. An experienced and qualified private investigator will be able to advice you on the process and whether certain methods are legal as well as evidence that may or may not be admissible in court. As one of the grounds to prove that the marriage has broken down beyond repair is the proof of adultery, a private investigator’s job is to procure conclusive evidence to that fact. However, there may be legal issues pertaining to how that evidence is obtained. An experienced and qualified private investigator will be able to advice you on the issue to ensure that the methods used will be within the parameters of the law and that the evidence will be admissible in court.